Work is moving along more quickly than expected on Detroit's Riverside Park. 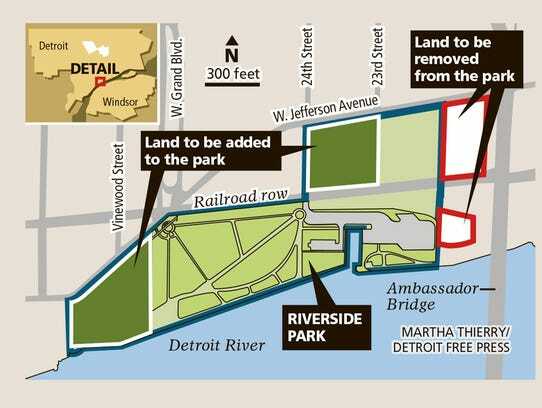 The city gave three acres of the park in Southwest-Detroit to the owners of the Ambassador Bridge in a controversial deal last year. Detroit got five acres of land owned by the bridge company as part of the swap. That land will be used to expand the park. Part of the deal called for the demolition of a former warehouse by late 2018. But that's underway now.